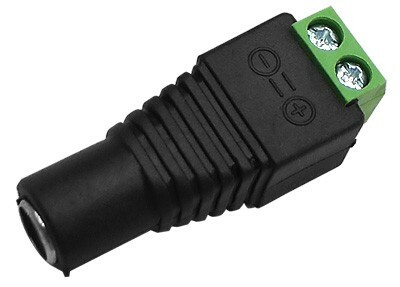 This screw terminal connector let you terminate your bare power wire to a 2.1mm DC female power plug. This is great for use when you want to terminate the 18awg wire on your siamese cable to connect to the male DC jack on the power adaptor of your cctv camera. It's a great idea to get these for your camera installation.